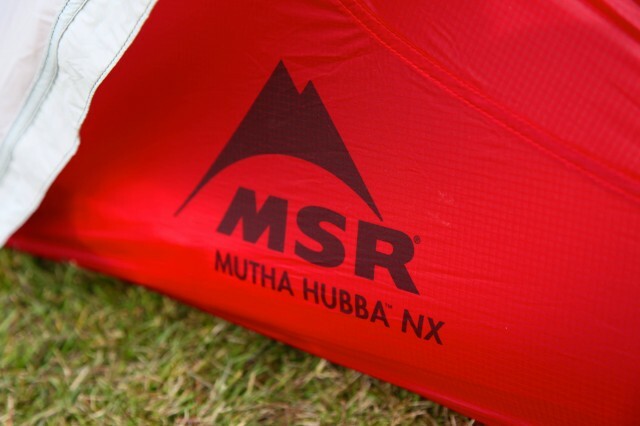 When they were first released many years ago, MSR Hubba tents were heralded is instant classics. Their efficient architecture paired to quality materials and smart features made them ideal solutions for a wide range of backcountry users. 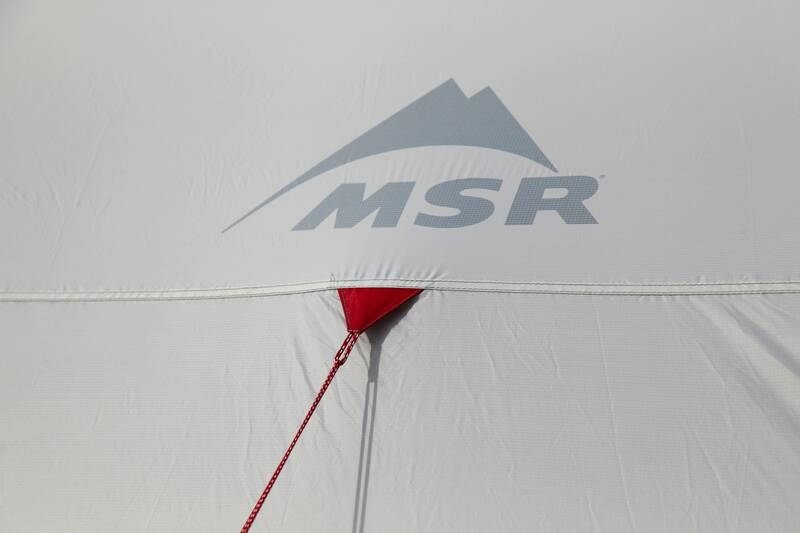 At a time when many manufacturers are hoping to simply liquidate what they currently have on the shelves, MSR saw the opportunity to gain ground on the competition and recently revamped the entire Hubba line. We recently had the opportunity to test the Mutha Hubba NX three-person tent in the rugged highlands of Iceland where it proved once again, MSR’s tents are standard setters. 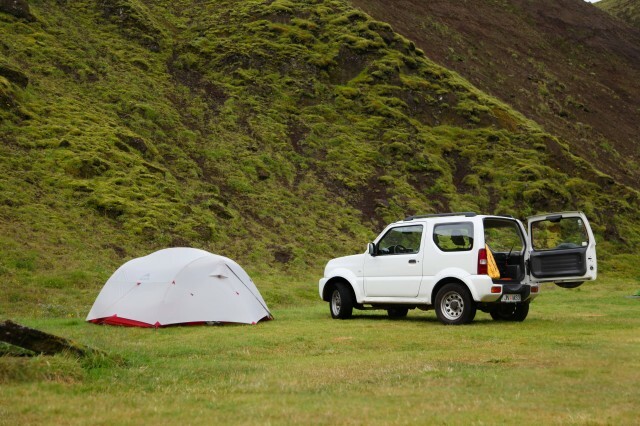 For our Icelandic adventure, we had rented a compact Suzuki Jimny and needed to portage all of our camping gear in small, travel-easy packages. 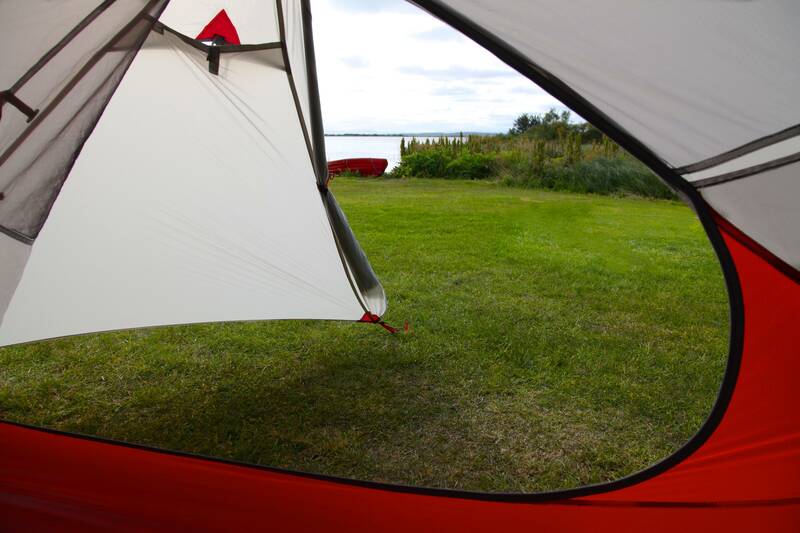 Using two Helly Hansen rolling bags, we had ample capacity, but a lightweight backpacking tent was a necessity. Not apt to skimp on even modest luxuries, the roominess of the Mutha Hubba NX made it the obvious choice. Little truck, big tent. Escaping to the Mutha Hubba NX after a day in the Jimny made it feel cavernous. For 2014, the Mutha Hubba NX underwent a significant metamorphosis, gaining refinements and shedding a whopping two pounds––or just shy of it. With a packed weight of 4 pounds 13 ounces it is also extremely compact. 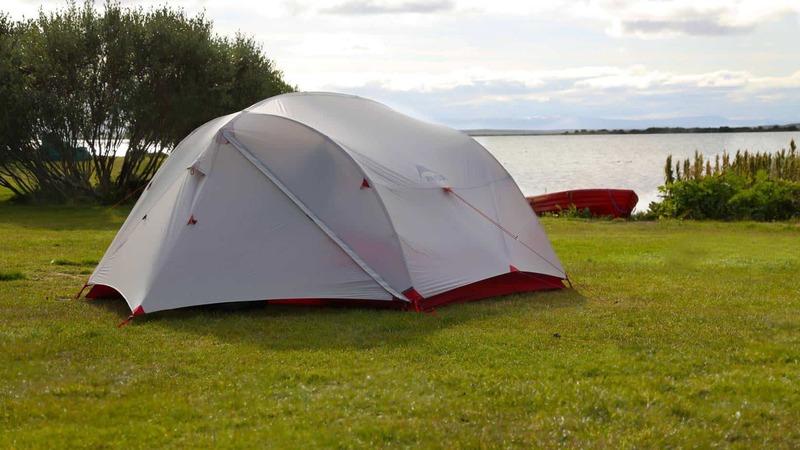 At just 21-inches long and 7-inches in diameter, it is scarcely larger than most two-person tents on the market. All of this small and light talk makes the MSR Mutha Hubba NX an ideal backpacking tent, but for an international fly-and-drive solution, it proved to be perfect. To achieve these impressive reductions in weight and packed size, the Mutha Hubba NX is now constructed of 20D ripstop nylon and 20D 1200mm Durashield polyurethane and Silicon ripstop nylon for the rain fly. 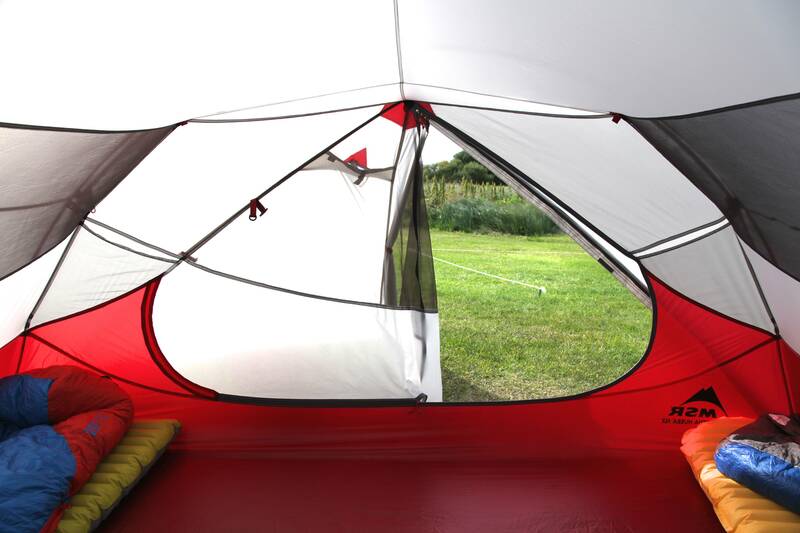 The floor of the tent is made of 30D ripstop nylon. The fabrics feel positively exotic and high tech, and with that statement my tent nerdiness is confirmed. If there is one attribute of the Mutha Hubba NX that stood out most, it was the speed and ease of setup and takedown. 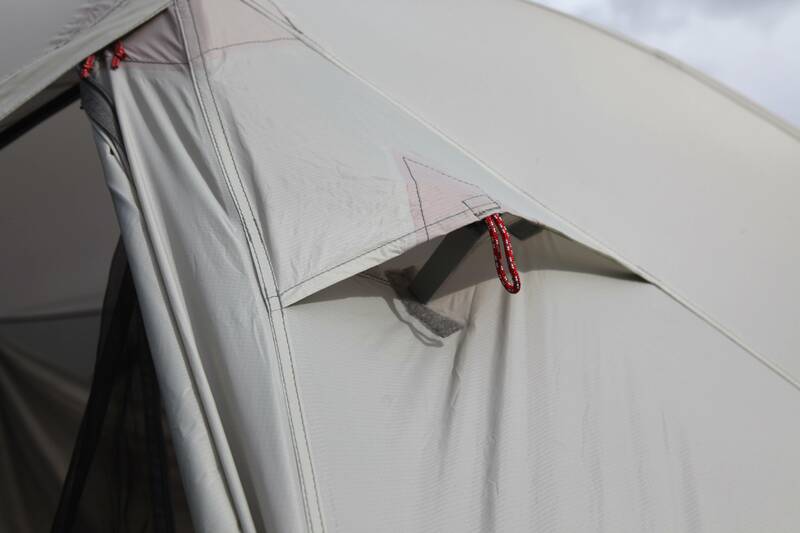 The three DAC FeatherLite NSL aluminum pole sections are permanently joined with two sturdy hubs, and the rest of the tent quickly attaches to the poles via 14 clips. Adding the rainfly and securing the stake-out points has the entire tent pitched in under five minutes. You can see how a fourth sleeping pad would not be over crowding the Mutha Hubba NX. The generously sized door made for easy ingress and access to the large vestibule. Once inside the tent, it’s hard to believe the Mutha Hubba NX is not considered a four-person shelter. The 41.5 square foot floor area could possibly accommodate a fourth sleeper with the vertical walls on the extreme ends adding to the livability of the space. 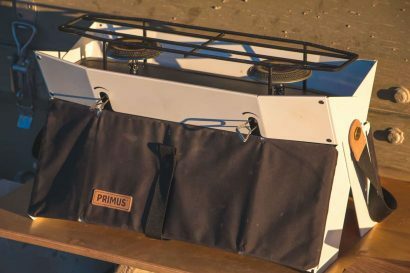 Despite its low-weight mission, there are also four oversized mesh pockets on the opposing ends placed high where the contents are visible, and a large 360 degree mesh panel adds just the right amount of ventilation. Tight and well tensioned, it fended off Iceland’s notorious winds and buckets of rain without ever appearing distressed or threatened. The light color of the rain fly and tent body kept the interior from feeling dark and foreboding while sitting out Iceland’s endless rainstorms. Some of the less obvious perks of design might not register with some users, or maybe I’m just an over critical tent geek, but little things like full sized “hanging” doors are a nice touch. I loathe tent doors that once unzipped fall to the ground where they invariably launch dirt and debris into the interior. 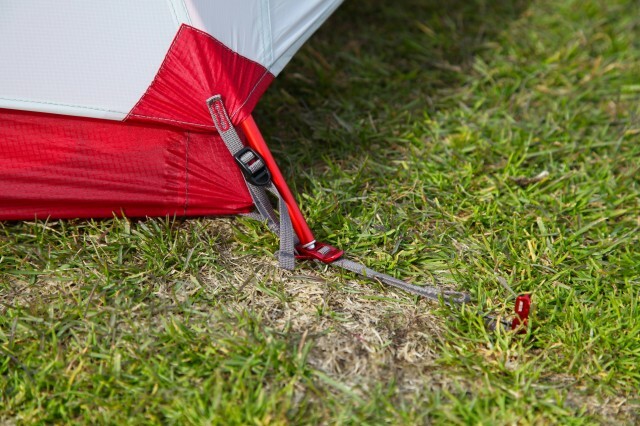 I also appreciate the nickel-plated YKK sliders on the well placed zippers that seemed to never fight with the drum-tight tension of the tent or fly. The dual vestibules are just the right size allowing one to be used for gear, and the other as the entry and exit point. 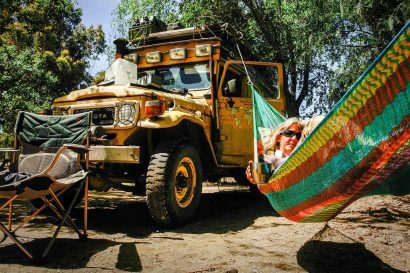 The aluminum hardware connecting the poles to the tent body is a nice touch and promises to survive endless insults. Even the MSR MiniGroundhog stakes are a personal favorite and the stuff sack with its wide side-opening is pure genius. It makes packing and unpacking the tent a snap. 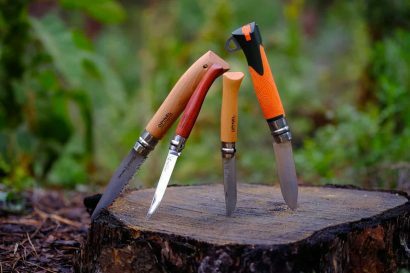 The stake-points employ aluminum hardware and are quickly adjusted to tighten the floor and fly. Dual vents at either end of the fly kept air moving and condensation to a minimum. They made for nice little peep-holes to make periodic checks on the weather. It would wold be difficult to find many missteps with the design or manufacture of the Mutha Hubba NX. MSR’s designers obviously know what they’re doing, staying one step ahead of even the most lofty consumer expectations. Over the course of two weeks in Iceland, our Mutha Hubba NX took a beating but always provided a dry, comfortable, and reassuring safe haven. The only thing it needs now––is another trip into the backcountry. Does this tent actually need a floor protection below? I’ve seen that they sell apart a floor protection but I want to know whether it’s really needed or not?